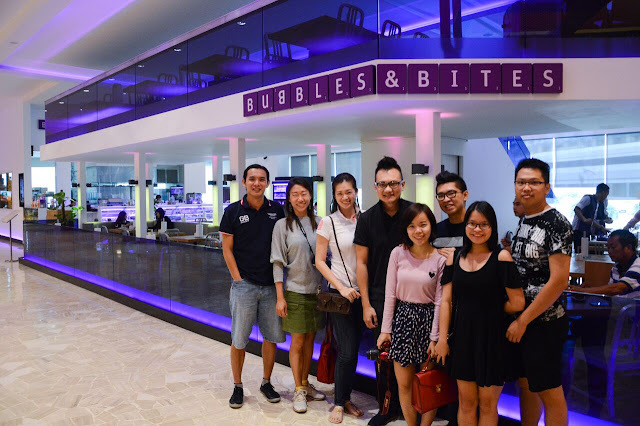 Bubbly Good times in Bubbles & Bites are complete with bubbly blogger friends around. 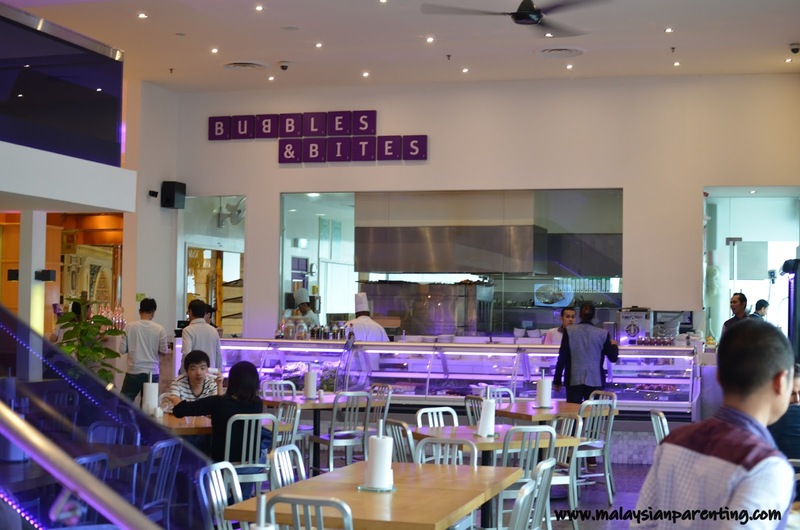 What's best when you are at Bubbles & Bites? 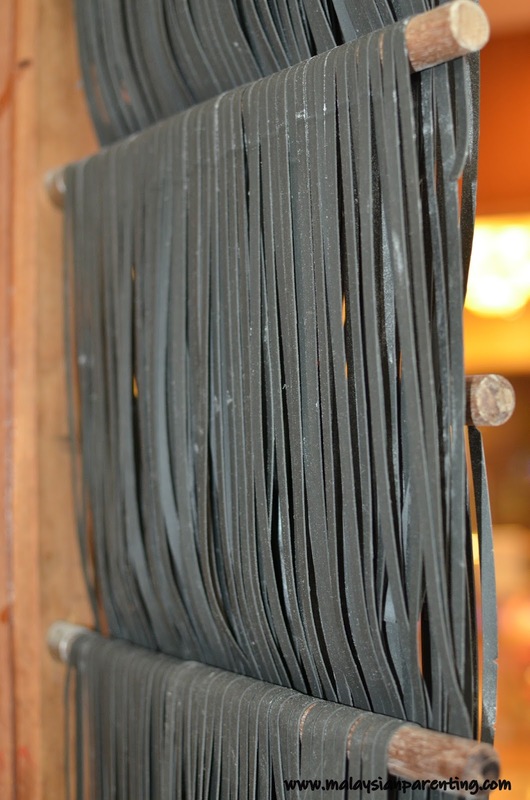 They have an open kitchen window and you can see the process of making pasta. What's better being a blogger? 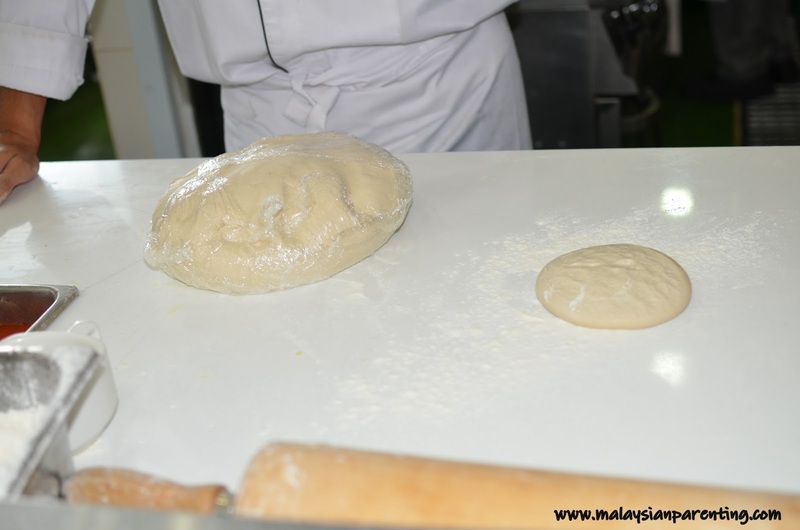 Chef gave us the chance to be in the kitchen to explain to us on the process, the ingredient they use, from flour to the completed hanging pasta and to pizza's. Thanks to Eric & Wei En from Genting PR for this wonderful experience. 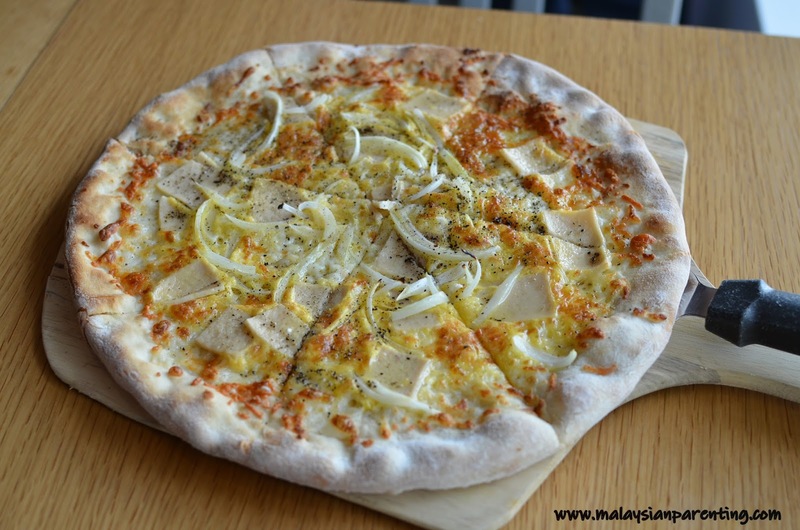 Bubbles & Bites is not your run-of-the-mill eatery offering delightful food without a good ambience. This exclusively designed outlet that enjoys pride of place on the second floor of Maxims in the heart of Resorts World Genting is notable because it really is quite extraordinary in every sense. Counter, Cakes, Salads, and More! Loving this wall art... could you get all pasta, pizza and food name right? Yes, I actually took the time to check it out one by one. 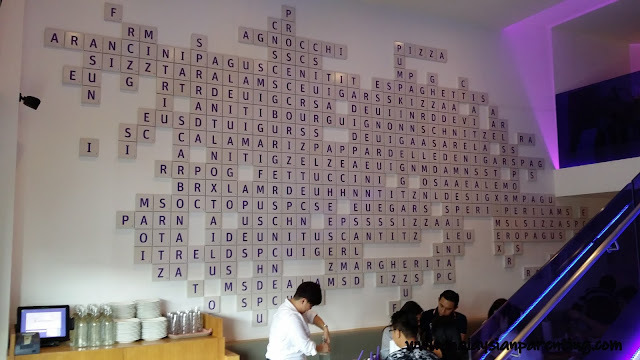 Great if you bring kids - you can have them jotting the food name in a list within a time limit and ... its another table game for a small group gathering too! 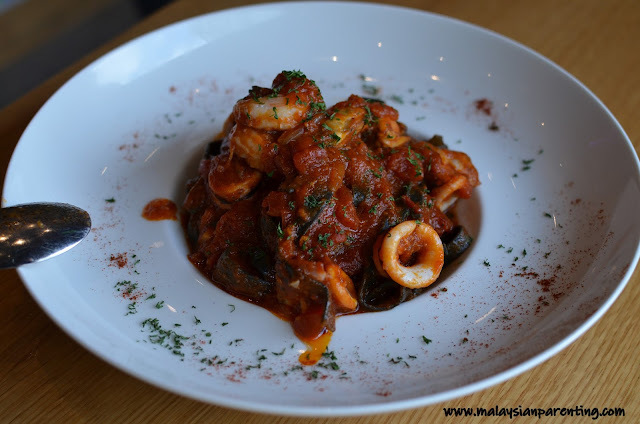 True to its name, Bubbles & Bites makes the perfect chill out place for effervescent young people, families and all others who believe great food and good ambience go hand in hand. 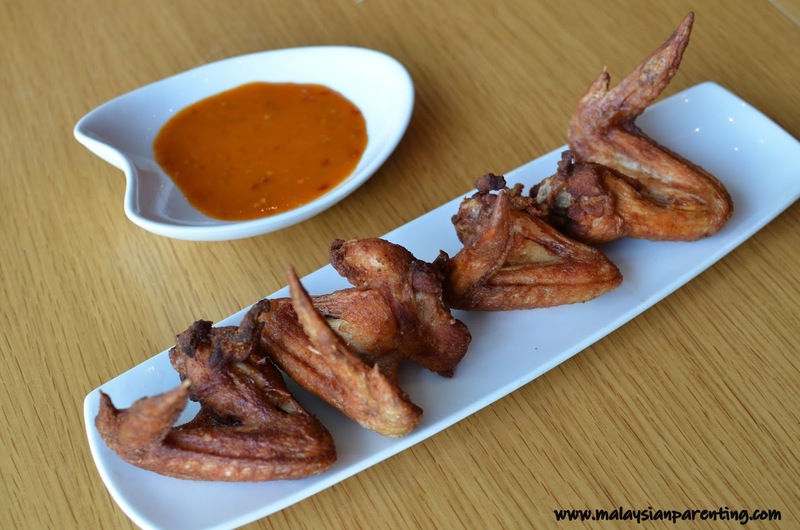 There is, for one, its wide variety of dishes that includes such unique creations as Bud Spencer Breakfast and Ethiopian Chicken. The culinary sphere at Bubbles & Bites also owes its distinctiveness to the unique interior design concept adopted―modern and chic design as highlighted by such details as ceiling laser lighting. Yet at the same time, this establishment would like to maintain the concept of casual continental cottage cuisine offered in a comfortably environment. At the end of the day, it is excellent food that achieves repeat business―that gets the customers coming back for more. And at Bubbles & Bites, "excellence" is surely but one of the superlatives customers would use to describe it. The name Bubbles & Bites originates from the fact that the restaurant serves simple western food with an exquisite list of drinks―including sparkling wines imported from such countries as Italy, Spain and France. Hence the word"Bubbles." Whether it is a light or heavy meal that is being consumed, customers can look forward to the right beverage to go with it. Visual stimulation is everything in the culinary world and making a statement about what the place represents are the many sparkling wines and juices on display―portraying the wide variety of ‘Bubbles’ that is offered. 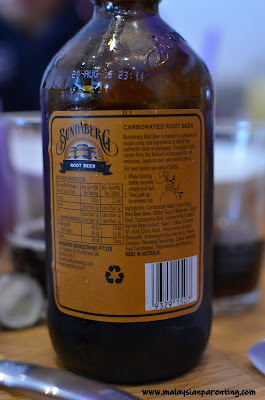 There are also sodas, soft drinks and beers―all fizzy gems. Here is one of my Favorite catch : only in Bubbles & Bites. 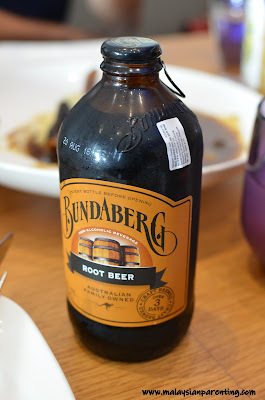 Bundaberg Root Beer, from Australia. 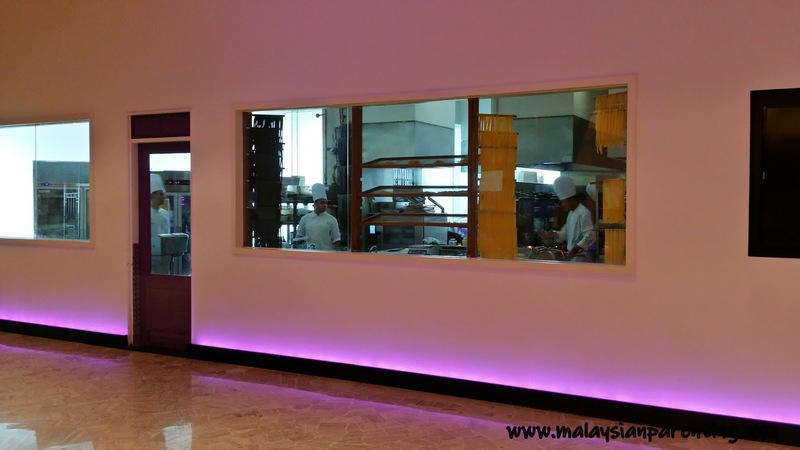 A salad, starter and dessert bar adds to the restaurant's casual elegance as do other details like soothing music and television screens presenting the day's best sports news. 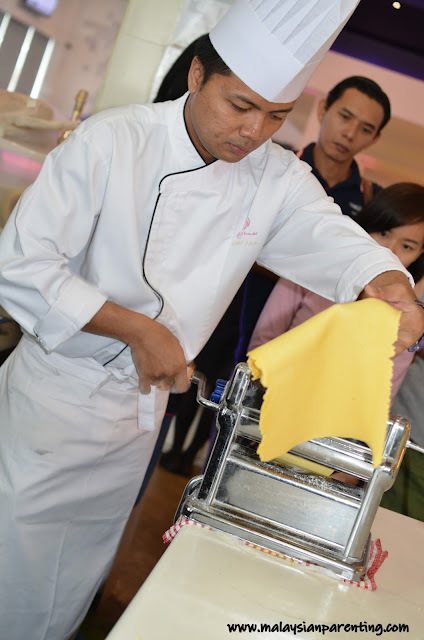 Working behind the scenes in the kitchen to ensure the success of Bubbles & Bites is Outlet Chef Khairul Azhar bin Wahid whose level of expertise belies his young age. 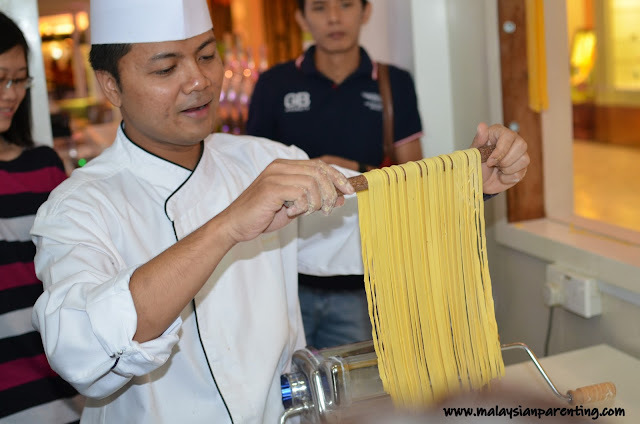 He may only be 30 but make no mistake he is the man in charge, with his knowledge of Asian, western and contemporary cuisines coming into play at the restaurant to deliver memorable outcomes. The chef who believes "cooking is art and art is heart," lists roasting, braising and sauteing as among his skills, but at Bubbles & Bites, there are all kinds of brilliance on display, whether they be pastas, pizzas, burgers, sandwiches, stews, sausages or pies. And oh, Bubbles & Bites is proud to announce it makes its own pasta noodles and fluffy pizza base. As good as homecooked food, you can say! 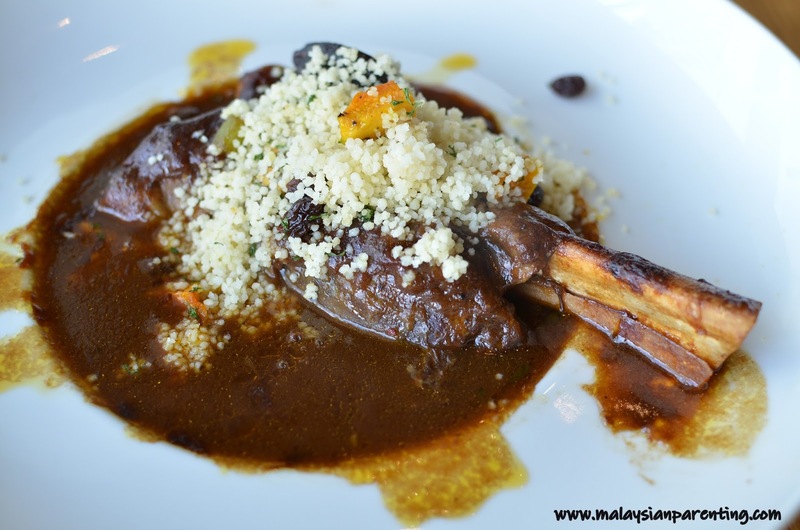 Ranking as the restaurant's top selling dishes are such gems as Pici Bolognaise Pasta, Slow Braised Lamb Shank, Ethiopian Chicken, Grilled Salmon Tagliatelle and Bud Spencer Breakfast. 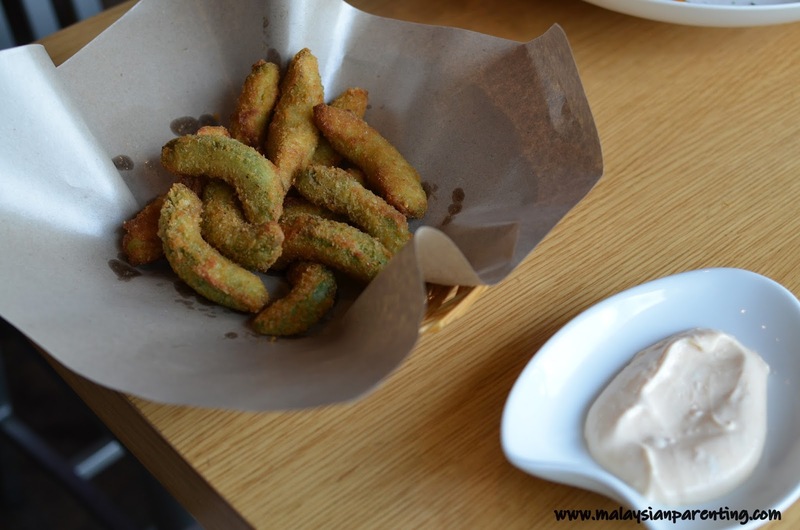 Lighter options for those who count calories include Fresh Green Salad and Healthy Burger with Avocado Fries―both best sellers as well. But the story behind Bud Spencer Breakfast simply must be told as it is not something you'd find elsewhere. Part of the All Day Breakfast in a Skillet offerings (the other option being Classic English Breakfast), Bud Spencer Breakfast offers, as its name suggests, a Wild Wild West-inspired meal, complete with Cheesy Corned Beef, Potatoes and Sunny Side Up Eggs. 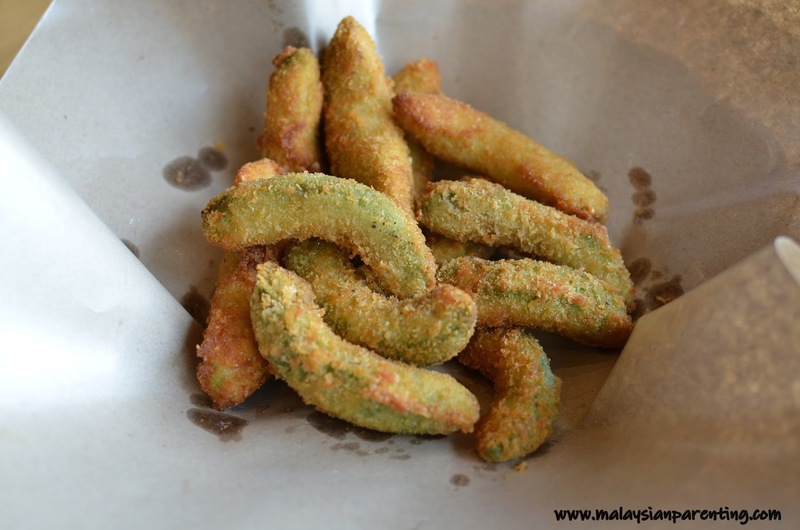 Sounds simple but customers dig into it with relish and always come back for more―hence its Best Seller status. 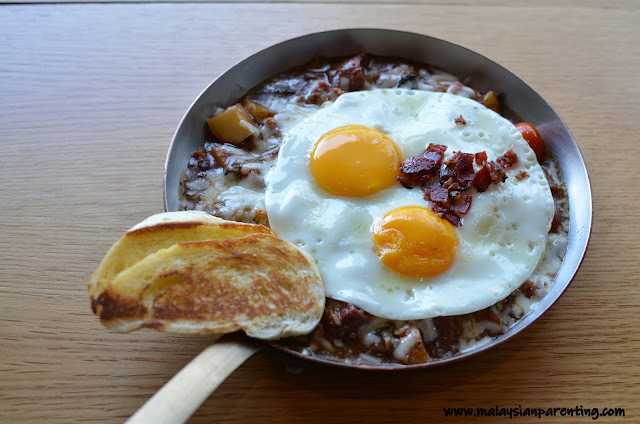 Bud Spencer Breakfast - I personally love this, a little heavy, but it's always good to start your day with a full tummy. ;) The potatoes is soft and the corned beef is juicy - if you love cheese, you gotta love this. 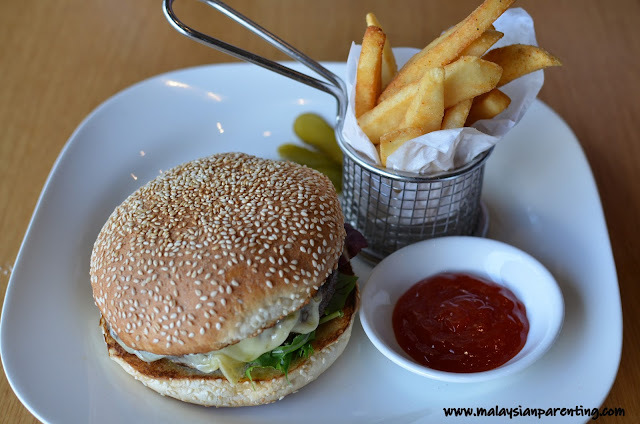 Other dishes deserving mention are Roast Kampung Chicken, and the Simply Fresh Hamburger that is 200 gm of freshly ground beef and Wagyu lard, gherkins and half burnt onions served on a soft sesame bun. This is the servings of 200gm of fresh ground beef and wagyu lard , gruyere,half burnt onions and gherkins on a soft sesame seed bun. This is Chef's own recipe creation, using 75% meat and 35% fat. 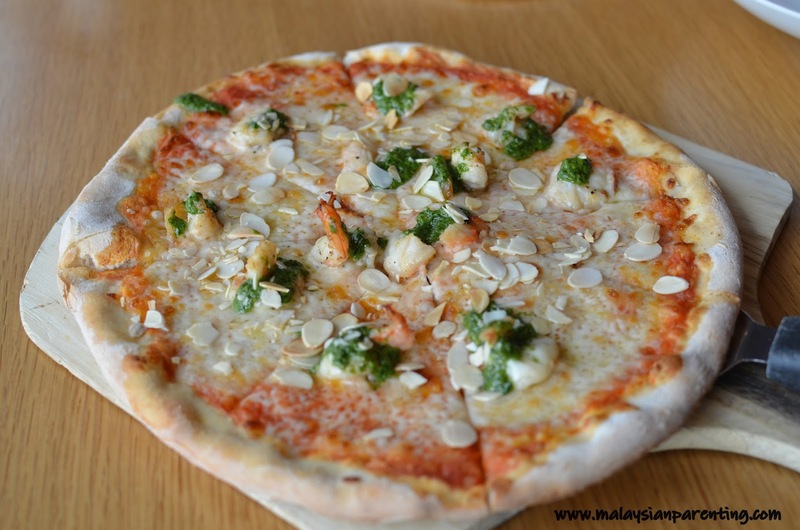 Pizza fans would be delighted with the wide variety of pizzas available including Pesto De Basilico, Carbonara Pizza and Vegetarian Pizza, while pasta lovers would want to try such options as Al Dente Squid Ink Pasta with Seafood, Garlic and Tomato Sauce. 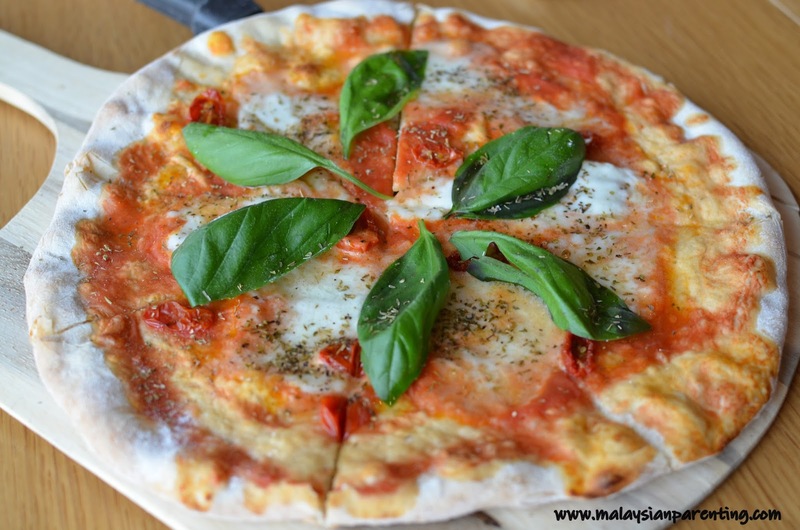 The pizza is layered with tomato base , juicy buffalo cheese , fresh basil and dry aregano. Fresh hot serving of Peri Peri Chicken Wing with Peri Peri sauce RM 23/RM 26. 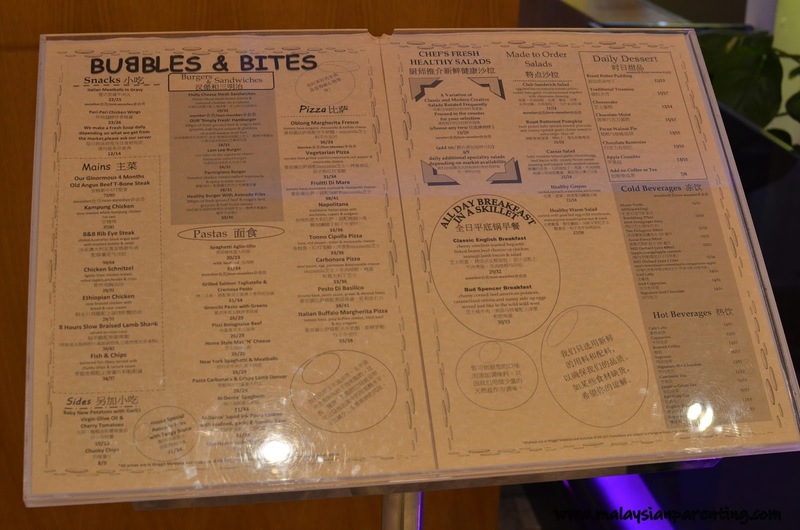 Prices in the menu are of Member and Non-Member price. You need to sign up as a Member of Resorts World Genting to enjoy this privilege . 8 hour Slow Braised Lamb Shank served on Cous Cous, RM 38 / RM 42. 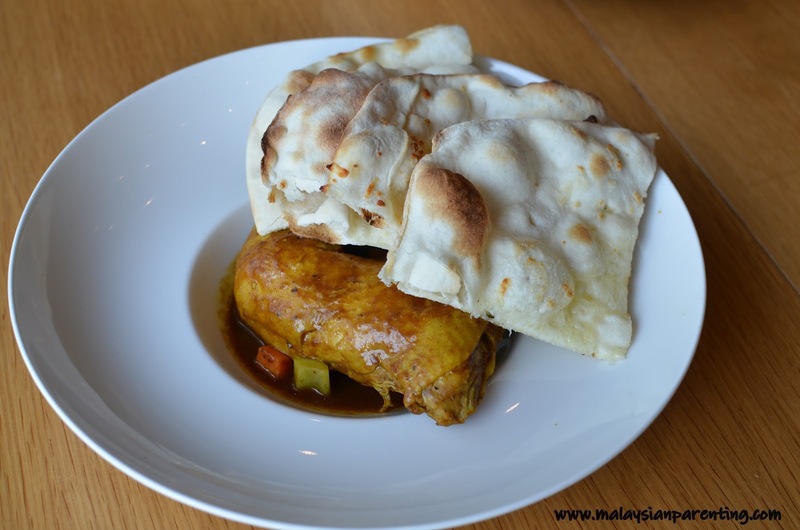 This is one of the signature dish and I must say the taste and texture is heaven. 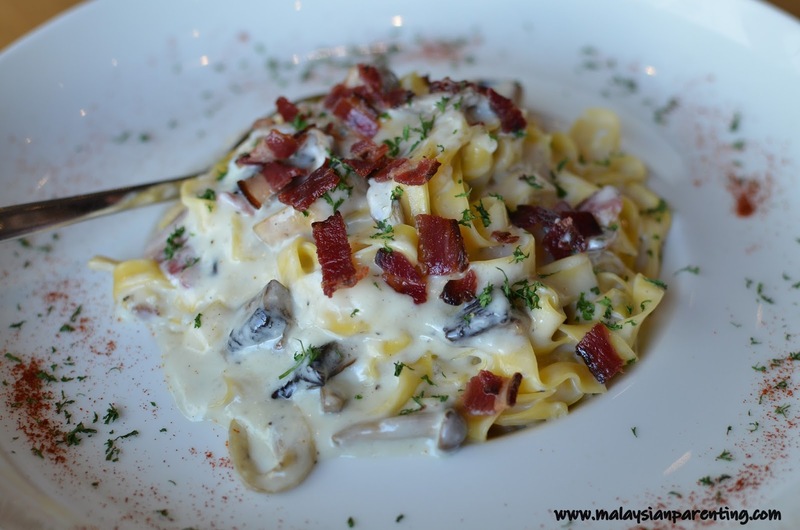 Pasta Carbonara & Crispy Lamb Denver RM 26 / RM 29. Those into greens would derive enjoyment from mixing and matching―they could choose from cold and warm salad ingredients or they could just pick something from the menu. To end their meal on a high note, diners would not go wrong whether they opt for the English Style Bread and Pudding, the Pecan Walnut Pie or Apple Crumble. 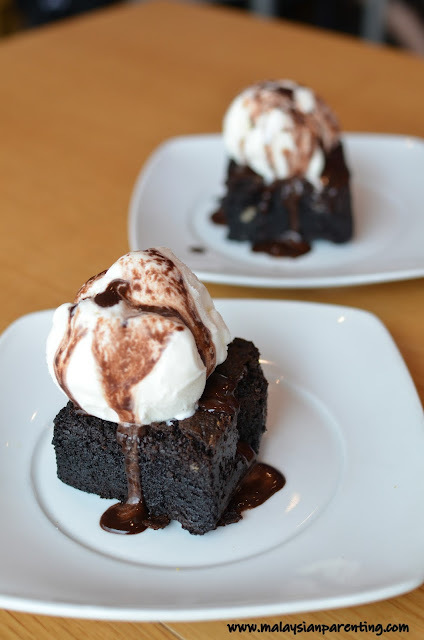 All are delightful desserts created by the restaurant's award-winning pastry chef.